FREEHOLD INVESTMENT OPPORTUNITY. A rarely available investment opportunity comprising six one bedroom duplex apartments, all currently let on Assured Short Hold Tenancies with an annual income of £57240 per annum. 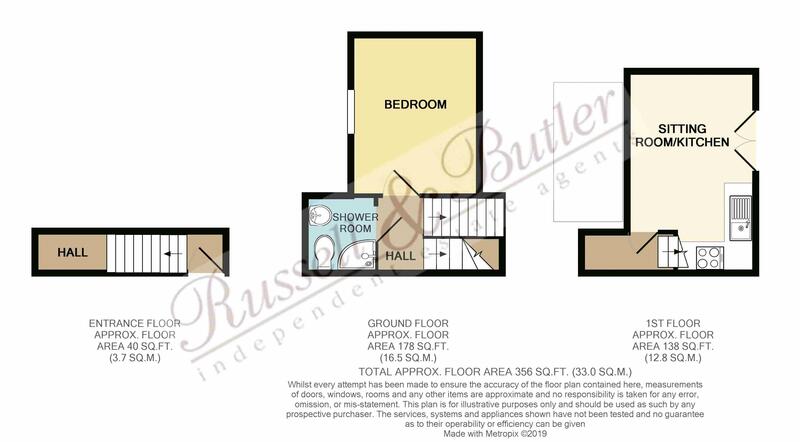 The properties are ideally located just off Buckingham's town centre and within walking distance of the UNIVERSITY. The property consists of three ground floor complexes with stairs from the communal entrance halls leading to three first floor complexes.Viewings strictly by appointment with the selling agents. Energy Rating B. The entrance hall leads to the kitchen with steps down to a split level sitting room. Inset single drainer stainless steel sink unit with mono bloc mixer tap, cupboard under, further range of base and eye level units, rolled edge work surfaces, ceramic tiling to splash areas, four ring electric gas hob with electric oven under, double glazed window to front aspect, electric radiator. Electric radiator, stairs rising to first floor, double glazed French patio doors to communal courtyard, door to ground floor shower room. White suite of fully tiled shower cubicle, wash hand basin with cupboard under, low level w/c, ceramic tiled splash areas, extractor fan. Electric radiator, double glazed window to rear aspect. Communal entrance, stairs rising to first floor. Doors to bedroom and shower room. Electric radiator, double glazed window. Electric radiator, double glazed patio doors to Juliet balcony. Inset single drainer stainless steel sink unit with mono bloc mixer tap, cupboard under, further range of base and eye level units, rolled edge work surfaces, ceramic tiling to splash areas, four ring gas hob, electric oven. There is a communal paved courtyard to the rear and approximately four car parking spaces. All mains services connected with the exception of gas. French doors from Living to south west facing elevation. Built in 2016 with high standards of insulation. See high rating on EPC. Electric heaters are the latest efficient off peak reducing running costs. Washer driers included.